The chic bar chair has an elegant style that will make a wonderful feature in your kitchen or living space. 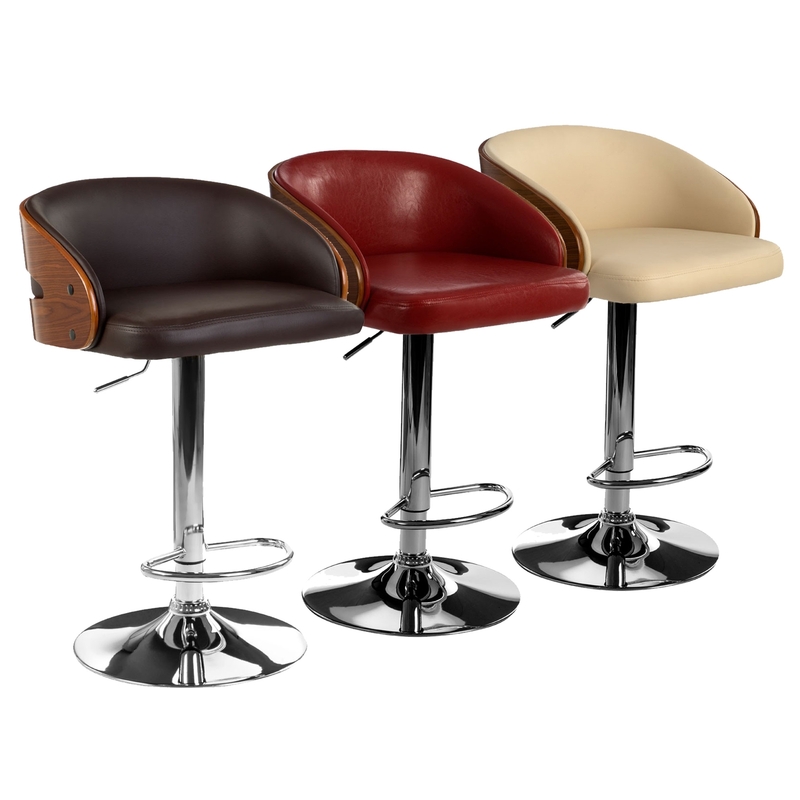 The stylish chair is upholstered with a choice of 3 beautiful leather effect colours. Featuring soft padding on the seat and back rest, ensuring total comfort will be had. The glistening chrome base and footrest complements the brown for a trendy look, while providing stability and durability. Height adjustable with 360° rotation, the gas lift mechanism ensures a smooth and consistent movement. As practical as it is stylish, the bar chair would make a fantastic addition in your home.